Sell Your Home For Top Dollar In Record Time! 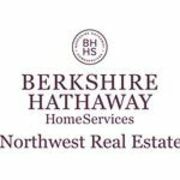 Rate and review Jewel Stockli, Realtor, Berkshire Hathaway NW Real Estate in Sandy, OR, United States! Share your experiences at Jewel Stockli, Realtor, Berkshire Hathaway NW Real Estate with your friends or discover more Real Estate and Apartments in Sandy, OR, United States.